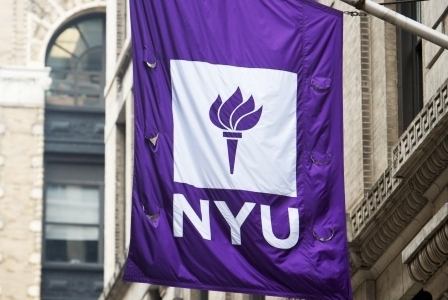 The semester may be over, but some student entrepreneurs at New York University are about to head back to class. Brooklinen — An e-commerce site that sells luxury hotel-quality bed sheets at affordable prices. Democrateyes — A website that will offer personalized cosmetic recommendations based on an individual’s facial features. HireCanvas — Leverages data and information to improve the recruiting process at career fairs for students, companies, and universities. Limbr Activewear — Previously known as Skinesiology; designs fitness apparel with elastic components to resist body movement to help tone muscle and burn calories. PeekBite — A mobile app that lets restaurant customers browse images of food, remotely order, and pay for their meals. Sensory Percussion — A new generation of electronic drum that uses machine learning for expressive control of electronic sounds. Smart Vision Labs — Developed technology that lets people take images of their eyes with smartphone cameras to check their vision. Somaware — Eyes-free, ears-free, and hands-free navigation through a neck band that emits vibrations to give directional prompts. Sparkbox Toys — A Web-based service for renting educational toys for kids up to four years old. Speech Empowered — Created an app, videos, and an online hub to help people learn to be more effective speakers. Rimalovski says hardware and e-commerce are prominent parts of this summer’s class, though there was no specific effort to recruit such teams. A few of the startups have head starts on gathering a bit of funding and generating money. “Sparkbox Toys already has revenue,” Rimalovski says. Meanwhile, Brooklinen set out to raise $50,000 through a Kickstarter campaign, and brought in just shy of $237,000 in pledged funding this month. Half of the startups have previously won various competitions in innovation and entrepreneurship, giving them some experience working on their ideas. “All five of those teams have some money in their pockets that’s enabled them to advance their ventures,” Rimalovski says. Smart Vision Labs, he says, has collectively won more than $1 million in prize money for its efforts. In addition to mentoring from the likes of Alexandre Douzet, CEO of TheLadders, and David Aronoff, general partner with Flybridge Capital Partners, the summer accelerator will give each startup a stipend of $7,500. With more teams in this class further along in development compared with last year, Rimalovski says there may be extra emphasis on business model refinement.